The website visitor becomes a lead when they opt-in to your mailing list. The “bribe” product is called a magnet because it is used to attract and convert a website visitor into a lead (someone you can follow up with to become a customer). Depending on how valuable your lead magnet is perceived to be – the more information or commitment you can seek from the prospect in exchange. What Should A Lead Magnet Include? A lead magnet is usually a downloadable file, such as a pdf report, checklist, ebook, or white paper. Often it’s an audio or video file, downloadable to consumable online. It can even be something more substantial, like a webinar. The key here is to get your lead magnet in the prospect’s hands as quickly as possible. Have you purchased a book on Amazon recently? Last time I did, they offered me the option to start reading it on my Kindle while waiting for the physical book to be shipped. The good news is creating a lead magnet doesn’t have to be a huge undertaking. Your website visitor doesn’t expect a one thousand page book in exchange for their email address. Lead magnets don’t have to be lengthy, or difficult to create. Some of the very best lead magnets are short but powerful information exchanges that go right to the heart of solving your visitor’s problem. 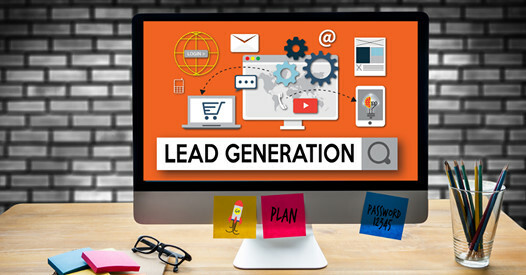 In fact, a long complex lead magnet will generally HURT your conversions from a lead to a customer if it’s too much of a chore for the lead to consume and implement the information. When thinking about a lead magnet, first consider what your audience’s pain points are, then try and solve them. Find a very specific problem they have, then come up with a simple and targeted solution to that problem. Here are a few questions to stimulate lead magnet content ideas. What information is irresistibly valuable to my audience? What is my visitor’s biggest problem, and how can I help them fix it? How can I make something people find hard and complex, simple and easy to follow? How can I motivate my reader? What is the thing my customer needs, right BEFORE they need my product. A perfect lead magnet often answers the question of “what” someone should do… while a follow-up product for sale can be the way to get the result, or information on how to implement the lead magnet. In this way, your lead magnet both provides a solution, and works as a great entry point to convert the lead into a customer with your product. It establishes you as the expert on the topic, or at a minimum, someone who knows more than your visitor and has done their research on a topic. This is almost a given when your information is solving a real problem the user has. Finally, a quality lead magnet gives them the answers they are seeking immediately. A longer magnet (like a 10-day email sequence, or a newsletter) may be nice, and even thorough… but most visitors are on your site because they have a problem they want resolved NOW, not in increments over the next 30 days. So avoid using a lead magnet that isn’t delivered immediately upon request. Remember, the faster your lead goes through the information, the more likely they are to convert into a buyer. Lists. Ideas and tips are all quite easy to create because you don’t have to dig deep to explain the content in a lot of detail. One of the big benefits of a list of ideas or tips is that you’re not making any assertion that the content is complete- which may take a lot of pressure off of you! Templates. Do you have templates that you use relevant to your topic? A template is simply a fill in the blank formula that can be used by anyone to achieve similar results. You can have templates for recipes, sales presentations, ads, workouts. Template have a high value to the visitor, because it removes a lot of the stress of thinking. Recipes are one of the best known forms of template. Checklists. Unlike a list, a checklist is expected to be a complete set of instructions. Creating a checklist is super fast, though. You can use checklists for things like: exercises to do that cover all muscle groups; how to draw a dog, etc. Guides and Reports. This is a delivery of long form information, and not the best choice of lead magnets, because it may take too long for the visitor to complete. However, if you’re a great writer and have a lot to say, this may be the type of magnet that’s easy for you to create. Cheat Sheets. These are shorter than reports, where you’ve done the bulk of the work of gathering and distilling the information of a larger body of work. Often a cheat sheet will help you understand more complex information. For example, you could have a cheat sheet to understanding nutrition labels, or how to eat low carb at popular fast food restaurants. The idea here is you’re doing the hard work of figuring out something for them. Blueprints. This is a visual way of expressing a cheat sheet or checklist. Blueprints- it’s a plan or model to complete something larger. Your audience may respond to something called a blueprint over a template… even though they are very similar. Mindmap – a mindmap is a graphical way to organise ideas and concepts. Also the use of iconography and or images is a great way to increase the perceived value of content. The same content in a list, in mindmap format, has a higher value to the user. Tools and Resources – Isn’t this list shaping up to be a great list of tools and resources for your lead magnet generation? Couldn’t you easily create a list of resources that your visitor can use to get their questions answered? Chances are, you already have everything you’d want on that list in your browser’s bookmarks. Workbooks and logs. An excel worksheet can be very high value if you use a little font and highlighting magic on the fields. Custom conditional formatting, calculations and equations, and charting abilities that are built in, can give you a very high value lead magnet. If excel is your “cup of tea”, consider creating some type of tracking mechanism for your prospect. A workout log, daily planners, habit trackers or link tracking form are a few examples of topics that might lend themselves well to a worksheet or log. Videos. Here’s the kicker… they don’t even have to be YOUR videos. There’s a lot of value in you taking an hour to cull through all the videos on YouTube to find the best one that answers the prospect’s frustration (I use this idea a lot for my time poor clients). Sure, it’s better and more highly converting if the video comes from you… but that shouldn’t stop you from having a lead magnet for your opt in TODAY while you’re making a video of your own. Just hop on YouTube, find a video or several, to create a playlist, then embed it into the thank you page your visitor sees after they opt in. Free trial. If you’re promoting software or a tool, truly the best lead magnet for you is a free trial. It’s easy to deliver, and what better way to show someone the value of your product then to show them the product itself! To maximise conversions, include a week or two of training that guides the user on how to use your software. Free with Shipping. A physical product that is totally free, provided the user pays for shipping and handling, is an excellent way to get a lead. Not only do you get someone who has said they are interested in your topic, you get someone willing to pay for a solution to their problem. That’s a very high quality lead. Discounts. Get a 10% discount on your first order when you join our mailing lists. You’ve probably seen this before, it’s a fairly easy lead generation method. Quizzes and surveys. You’ve seen the clickbait version of this strategy on Facebook every day “take this quiz to test your vocabulary” or “what your favourite colour tells you about yourself”. People love to find out more about themselves, looking for some deep insights or revelations about how they compare to others. This type of lead generation is highly irresistible. Plans and schedules. Meal plans, workout plans, marketing plans, promotional plans, how to play the piano in 30 days… all of these have the benefit of being fairly easy to create and of high value to the reader looking to make a life change over time. Stuck on how to create the physical/digital magnet itself? Here are some ideas for easy creation. Printed Documents. Use Microsoft Word or Google Documents to write your report, checklist, or handout. Then use the option to print/save it as a PDF. Presentations. Powerpoint, Keynote, and Google slides can all be created then printed into a beautiful PDF file. Images/Graphics. If you’re creating an image, picture, graphic or visual piece, Canva is an excellent (and free) place to start. Video. Camtasia or Screencast software can be used to create a screen share video of something on your computer. If it’s a video of you, set up a tripod and use your smartphone! Most smartphones have excellent video capabilities. Webinars. I highly recommend WebinarJam and EverWebinar for your webinar needs. That’s it! You have all you need from this article to create an interesting and inspiring lead magnet. However, if you’re one of those people who needs MORE, here’s a list of 35 different ways you can repurpose the content you’d like to share into a different type of lead magnet. Often the same content, called something different, has a higher perceived value. Where a report might sound boring and dry to someone, a manifesto sounds exciting and edgy… while the content can be exactly the same. Split test different formats for the same information, and find the magic words that make your offer irresistible to your website visitor.